Need A Laser Cutting Machine That Can Handle Large Tube, Pipe & Other Metal Cutting Jobs? 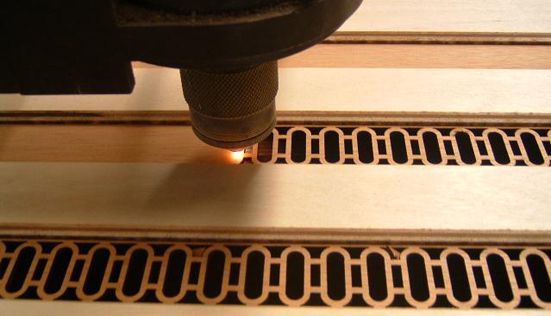 Laser cutting machines are typically used to cut metal tube, pipe, bars, etc. with speed, accuracy, and minimal material waste. However, most laser cutting machinery is designed for smaller pipe and tube jobs and may be limited to the thickness of the metal and angles that can be cut. As laser cutting technology improves, so do the capabilities of the laser machine tools. Recently, Mazak Optonics, an industry leader in 2D and 3D industrial laser cutting machines, released the new 3D FABRI GEAR Mk II machine designed for extensive pipe, tube, and structural cutting applications. Capable of cutting any shape of tube or pipe including: round, square, triangular, and rectangular metal parts; it can also accurately cut C-channel, I beams, H beams, angle iron, and other custom designed mild or stainless steel shapes. The versatility and wide range of cutting capabilities that this new laser cutting machines has to offer makes it an ideal solution for a variety of different industries metal cutting needs. The 220 with a 2.5 kW resonator is capable of processing pipe and tube with diameters up to 8.6 inch. The 400 with a 4 kW resonator is capable of processing of larger pipe and tube jobs up to 16 inch diameter. Both models operate at rapid traverse rate of 3,937 ipm. All machines are produced in an ISO 14001 certified facility and feature a new eco-friendly resonator which reduces gas consumption by up to 50% and electricity consumption by up to 10%. This laser cutting machine is simply amazing. This machine cuts with laser It’s very useful and save time! I suppose it all depends on the money you have at your expense. Some machines will do a far better job than others but they are much more expensive and so it is determined by what you can afford. The design in the picture however, is a great example of their capabilities. Previous Previous post: Redirected – Jib Cranes: Choosing The Right Lifting Equipment?